What You Should Know Before Buying an Affordable Laser Engraver for Metal? What is a Metal Laser Engraver? Metal laser engraver is a kind of laser engraving system with fiber laser source for 2D/3D metal engraving on aluminum, carbon steel, stainless steel, galvanized steel, silver, alloy, gold, copper, titanium, iron and brass. 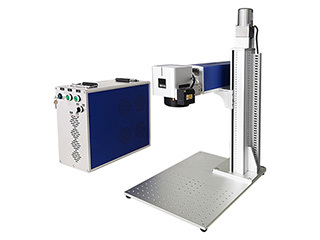 Metal laser engravers can make 2D laser engraving, color laser engraving, rotary laser engraving, online flying laser engraving, deep laser engraving and 3D laser engraving on metal surface. 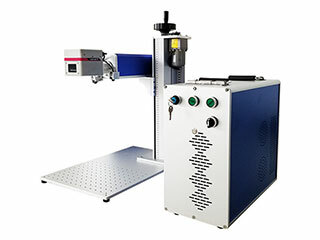 Metal laser engravers can be equipped with MOPA fiber laser source for color engraving on stainless steel and titanium. 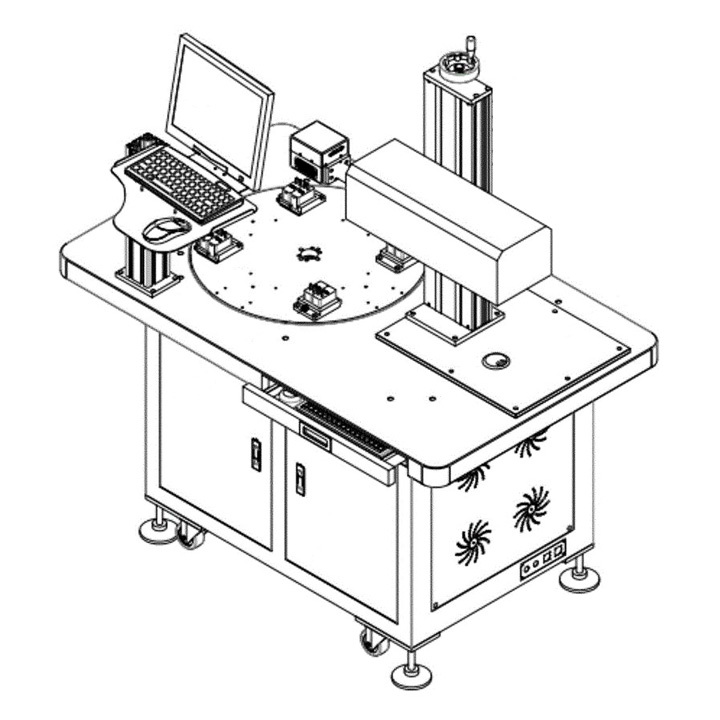 Metal laser engravers can be equipped with rotary device for laser engraving on rings, bracelets and bangles jewelry. Metal laser engravers can be equipped with online flying system for mass production with continuous manufacturing process. 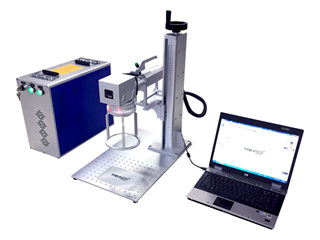 Metal laser engravers can be equipped with high laser power for deep laser engraving on metal. 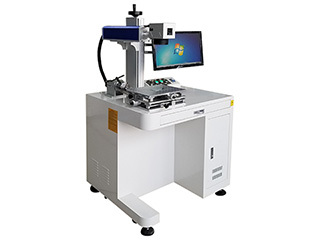 Metal laser engravers can be equipped with 3D system for laser engraving on aspheric surface, angular surface, rollers, pipes, cylinders and most curved surface. Metal laser engraver is also called laser metal engraving machine, metal laser engraving machine, laser metal engraver, laser engraver for metal, laser metal engraving system, laser metal engraving equipment, laser metal marking machine, metal laser marking machine, laser metal marker, metal laser marker, laser metal printing machine, metal laser printer, metal laser printing machine, laser metal printer, laser metal etching machine, metal laser etching machine. Laser metal engraving machines can be divided into small laser metal engraving machine(small metal laser engraver), mini laser metal engraving machine(mini metal laser engraver), handheld laser metal engraving machine(handheld metal laser engraver), portable laser metal engraving machine(portable metal laser engraver), desktop laser metal engraving machine(desktop metal laser engraver), tabletop laser metal engraving machine(tabletop metal laser engraver), large format laser metal engraving machine(large format metal laser engraver) according to sizes. laser metal engraving machines can also be divided into home laser metal engraving machine(home metal laser engraver), hobby laser metal engraving machine(hobby metal laser engraver), industrial laser metal engraving machine(industrial metal laser engraver) according to applications. 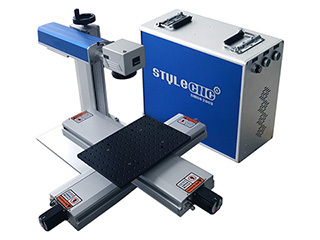 As a guaranteed metal laser engraving machine manufacturer and supplier, STYLECNC provides all kinds of best laser metal engraving machine for sale to fit your metal engraving works. 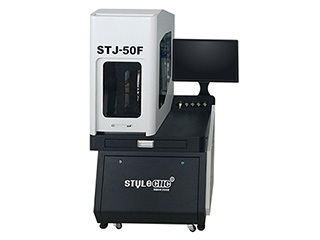 STYLECNC's metal laser engraving machines are equipped with genuine metal laser engraving software and metal laser engraving system, the best original metal laser engraver parts. STYLECNC offers ex-factory price for your metal laser engraving plans without any intermediate. You will get the best laser metal engraving machines with affordable price from us. STYLECNC also offers smart metal laser engraving solutions, 24/7 one-to-one free service and support, which is available free. We will recommend the most suitable metal laser engraver to you after being informed by your requirements. We will offer you with our detail quotation according to the consulted metal laser engraver. You will get the most suitable specifications, the best accessories and the affordable price. Both sides carefully evaluate and discuss all the details(including the specifications, technical parameters and business terms) of the order to exclude any misunderstanding. We will arrange the laser machine production as soon as receiving your signed sales contract and deposit. 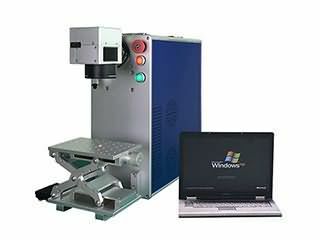 The latest news about production will be updated and informed to the laser metal engraver buyer during the production. The whole production procedure will be under regular inspection and strict quality control. The complete laser engraving machine will be tested to make sure they can work very well before out of factory. We will arrange the delivery as the terms in the contract after the confirmation by the metal laser engraver buyer. We will supply and deliver all the necessary shipping documents to the laser metal engraving machine buyer and ensure a smooth customs clearance. The best deep laser engraving machine for metal with 50 Watt fiber laser source is mainly used for deep engraving on metal surface (guns, firearms, stainless steel, titanium, aluminum, brass) and nonmetal surface. The fiber laser deep metal engraving machine can also cut thin metals. Now the fiber laser metal engraving machine for sale with affordable price. Portable metal laser engraver is suitable for small business and small shop of jewelry, watches, phone keypad, plastic translucent keys, electronic components, etc. The portable metal laser engraver with high precision and speed is easily carried or moved, now the portable metal laser engraver for sale with affordable price. Affordable 3D laser metal engraving machine can work with all metals and most non-metal engraving works. Compared with the ordinary metal laser engraving machine, it can do some 3D embossing works and engrave on 3D curved surface. Color laser engraving machine for metal with MOPA fiber laser source is used for marking black, white, grey and colors on metal surface such as stainless steel, titanium. Now the MOPA color metal laser engraver for sale with affordable price. Handheld mini laser engraving machine for metal is portable for engraving metal, alloy, jewelry, medical devices, mobile case, electron components, etc. The laser metal engraving machine is portable with mini size, now the handheld mini metal laser engraver for sale with affordable price. 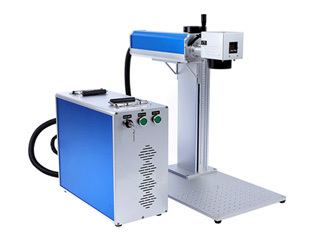 Hobby metal laser engraver with 100W IPG fiber laser source is used for engraving logos, signs, letters, numbers, patterns or pictures on metal surface such as steel, aluminum, copper, alloy, silver, gold, etc. Now the hobby metal laser engraver for sale with best price. Mobile, iPhone laser metal engraving machine with MOPA fiber laser source is widely used in DIY, selling, repair or refurbish mobile and iPhone business, you can engrave numbers, letters, signs, logos, names, patterns and IMEI on the shell, case or parts of iPhone XS, iPhone XR, iPhone X, iPhone 8, iPhone 7, iPhone 6, Samsung, etc. 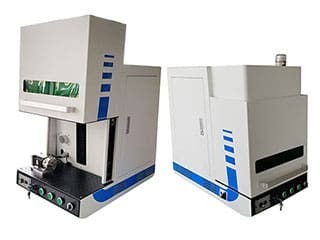 Deep 3D laser metal engraving machine with fiber laser source is especially used for deep metal engraving to realize the 3D surface, and the 3D metal laser engraver has enclosed structure for safe protection. Now the affordable 3D metal laser engraving machine for sale with best price. 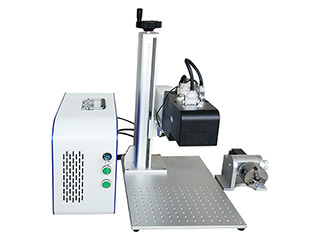 Desktop metal laser engraver for guns, firearms, weapons is also called as gun laser engraver, firearm laser engraver, gun laser engraving machine, firearm laser engraving machine, the metal laser engraver adopts IPG fiber laser source for engraving on gun barrel, gun stock, gun magazine holder, gun magazine, gun muzzle and gun cylinder. Now the best metal laser engraver for sale with affordable price. New design fiber laser engraver for metal with full enclosed cover will keep the smoke in the enclosed protection case without emission to outside. The fiber laser metal engraver has advantages of healthy, environmental and friendly. Desktop laser engraver for metal with MOPA fiber laser source is used for engraving on the iphone back logo, TV controller keyboard, Laptop keyboard, Mobile phone keypad, plastic translucent keys, etc. 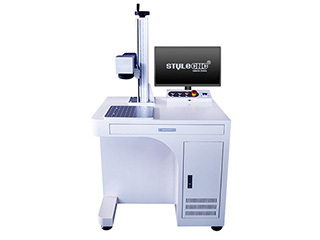 Online flying laser engraver for metal industrial mass production is used for online flight marking on jewelry, medical devices, phone cases, stainless steel tableware, electron components. 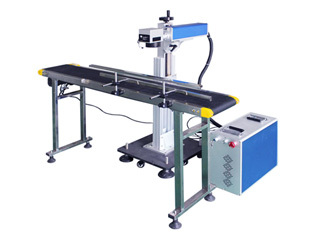 Now the online flying metal laser engraver for sale with low price. All metal ! Solid build. Good documentation. It took me about 5 hrs to install. All in all, I am very pleased with the purchase. I think the controller board is capable of handling end-stops and a lot more. I am now looking to figure out how to upgrade the motor speed fixed.